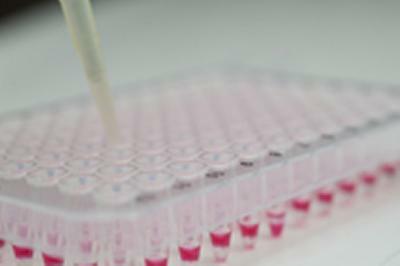 A scientist at the University of Southampton has been awarded £180,000 to fund a three year research project into adult leukaemia. Dr Andrew Steele received the grant from leading blood cancer charity Leukaemia & Lymphoma Research, to investigate how drugs can be used to force cancer cells to self-destruct. Chronic lymphocytic leukaemia (CLL) is the most common type of adult leukaemia and is diagnosed in over 3,000 people in the UK every year. Currently an incurable cancer, Dr Steele hopes to interfere in a process known as autophagy, which is believed to be used by CLL cells as a survival mechanism to resist damage caused by chemotherapy. During autophagy the cell breaks down and recycles its damaged or surplus molecules, creating energy. However, autophagy can also promote cell death as well as protecting against it, depending on which signals are activated. The Southampton team will use a technique known as immunoblotting to identify levels of certain proteins within leukaemia cells during autophagy. Immunoblotting uses molecules called antibodies, labelled with a chemical detectable by photographic film, which seek out and bind to specific proteins within the cell. This technique will enable the researchers to track and understand which proteins are important to keeping the CLL cells alive.